As the healthcare industry moves increasingly toward automation, it’s imperative that medical practices are equipped with advanced automation tools and features to improve their workflows and to enhance patient-centered care. In a nutshell, the more automated your workflows are, the more streamlined your processes are, which means more cost-efficiency and more productivity—and, thus, a greater profit. When we said we had great things in store for Vital Interaction™ customers this year, we meant it. Our team takes both market research and customer satisfaction very seriously—we’re always looking for ways to further improve our features so we can better serve our customers’ needs. During the last year, in particular, the most common request we’ve received from our customers is to incorporate even more automation into our existing features. Because of that, we’ve been hard at work developing a number of different ways to automate your various workflows! Over the course of the past few weeks, we have been showing Vital Interaction™ customers demos of our new features. And the most universally liked tools have, by far, been those that added automation. We’re excited to share with you some of our top new developments. Read on for a look at the various automation tools you can start using today—and those that are soon to be available. Automating complex communication workflows is at the core of everything we do. 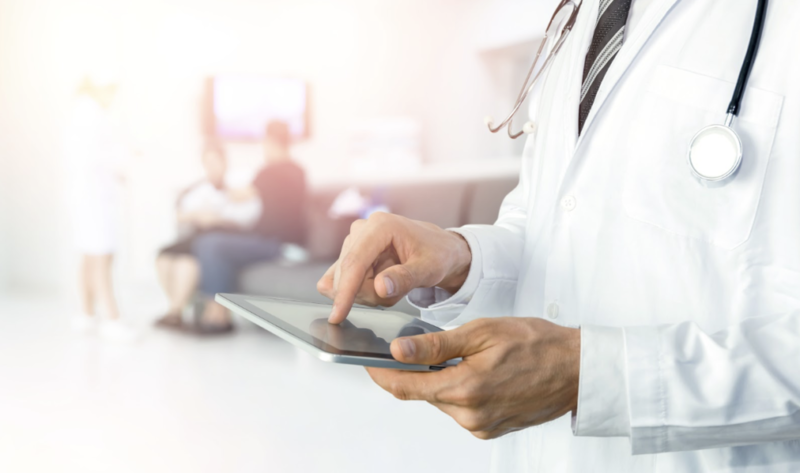 Our premier product, the Automated Patient Interaction System, enables healthcare organizations to communicate more effectively with patients using text messaging, automated voice, and email. This automated system helps both patients and healthcare providers connect quickly through technology to remind patients of appointments, fill open slots, and request patient feedback. Let’s take a closer look at four new features we’ve recently added that Vital Interaction™ users can start using today to further boost efficiency and engage patients. If a patient declines an appointment, some practices call to make sure it was intentional. Manually following up with patients to catch a few mistaken declines, however, requires a lot of time and effort. On the other hand, though, not following up can result in the occasional patient unknowingly driving all the way to the clinic for an appointment no longer on the schedule. Neither scenario is ideal, which is why we’ve created a Two-step Automatic Cancellation tool. This new feature eliminates false-positive cancellations by adding a verification step that prompts patients to simply enter their name, date of birth, and a short reason for their cancellation. Once a patient has completed this step, his or her appointment will then be automatically removed from your schedule. When a patient fails to show for an appointment, it can be easy for him or her to fall through the cracks. Yet, making lists and calling patients manually can be overly time-consuming. To prevent losing patients and to save time, Vital Interaction™ users can create a No-show Recall that automatically reaches out to patients who fail to show and have not be rescheduled. Similar to No-show Reschedules, when a patient cancels, it’s important to not let him or her fall through the cracks. To prevent this from occurring, create a Canceled-appointment Recall. In addition, we can also check ahead in the schedule to make sure you haven’t already rescheduled the patients. Many practices schedule patients’ next appointments (e.g., wellness checks, well-woman exams, eye exams, etc.) before they walk out of the door. Whether your practice does this or not, automating follow-ups can make sure all patients are having yearly or bi-yearly exams. Our Automated Recall tool is designed to follow up only with patients who have not scheduled or been seen in the last year, saving your practice both time and money. This particular tool enables patients to select reschedule slots automatically picked and sent by Vital Interaction™. We integrate with your schedule to find open slots and use existing data to give options that are most likely to work for your patients. The vast majority will pick a slot and be scheduled, filling up your schedule sooner rather than later. In case you haven’t heard, Vital Interaction™ now has a waitlist tool. And we’re currently working to automate this feature and make it available to system users in the near future. Using this tool, we will be able to automatically contact patients on your waitlist to fill empty slots—all without having to manually contact patients on the waitlist. And finally, Vital Interaction™ is working to release a referral tool that allows referrals to be logged and tracked. Soon, we will be automating follow-up with logged referrals to make sure they get scheduled. Much more automation is still on the horizon. The features and tools we highlighted today are those that are being actively worked on and will be live in the coming weeks. If you’ve got a request or suggestion for a new automated tool, don’t hesitate to reach out—your feedback could have a big influence on new tools we’re developing! If you would like to see one of these features sooner rather than later, contact your account manager or sign up for a demo today. At Vital Interaction™, we’re dedicated to helping you achieve the highest quality of patient communication and engagement while reducing costs. Partner with us today by calling (512) 487-7625.